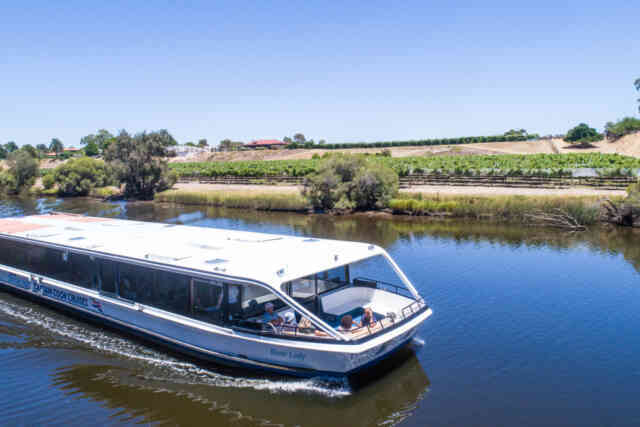 Enjoy lunch as you cruise on the scenic Swan River, travelling between Fremantle and Perth or up to the Swan Valley including a visit to a winery. 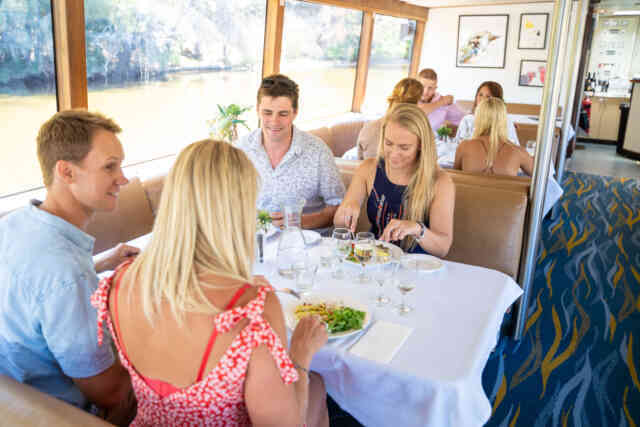 Lunch is served on this cruise between Fremantle and Perth as you enjoy the ever changing view of the Swan River. 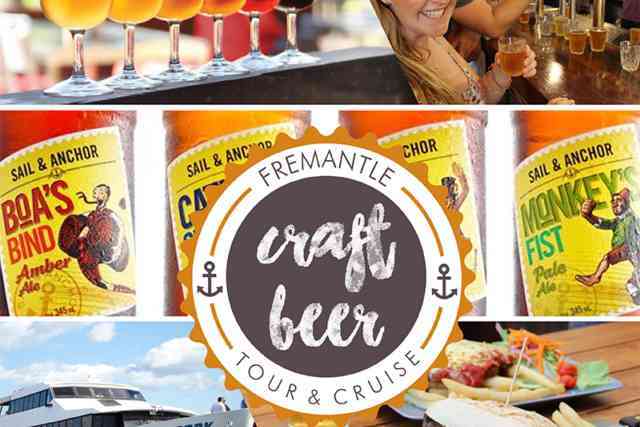 This tour includes extensive beer tastings of some of the best beers Western Australia and Fremantle have to offer, along with a mouth-watering pub lunch. Cruise to Fremantle, enjoying tea and coffee with a Captain's commentary then hop on a tram for a tour of the historic Port of Fremantle before enjoying a buffet lunch on the return cruise to Perth. 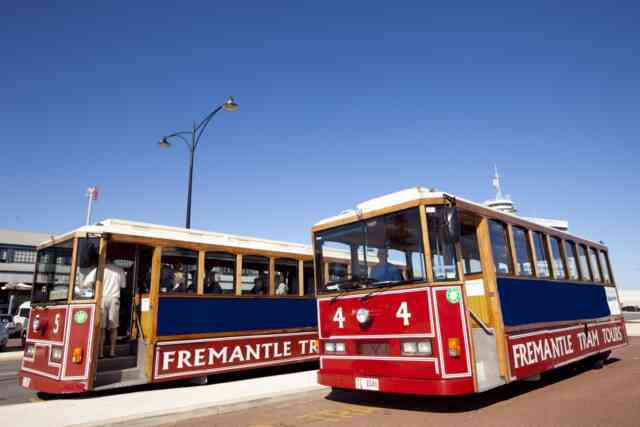 Cruise to Fremantle with us, then hop on a guided tram for a tour of the beautiful Port of Fremantle before enjoying a buffet lunch on the return cruise to Perth. 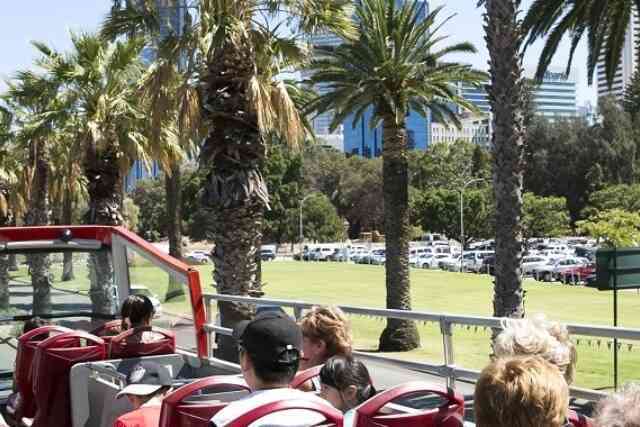 Once in Perth board your hop-on hop-off bus tour and finish your day in style.